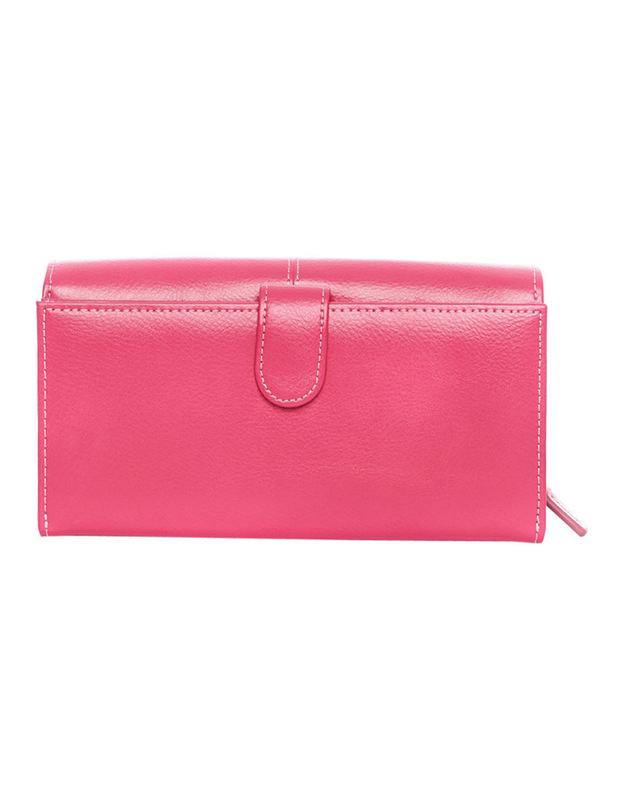 Dakota Flap over Wallet. 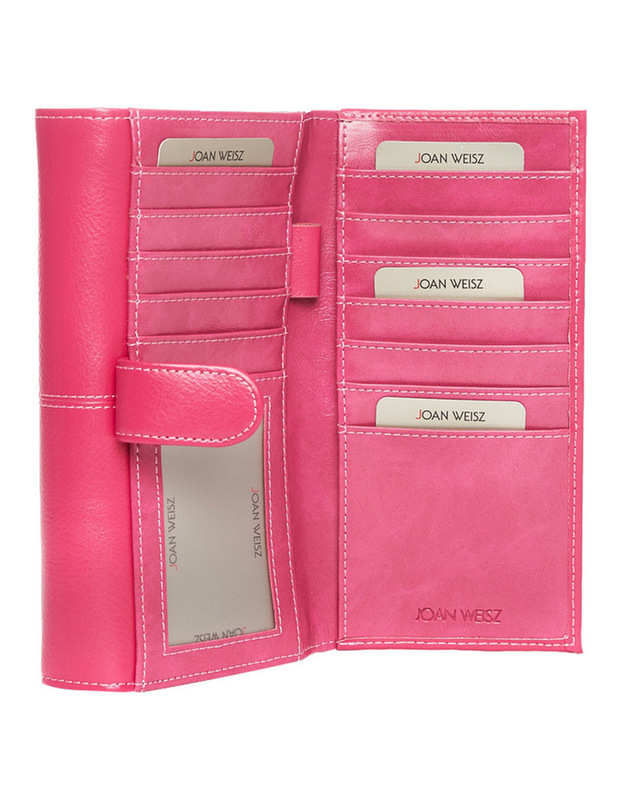 Joan weisz rfid dakota bifold flapover wallet in fuchsia jwf044. Antique gold hardware. 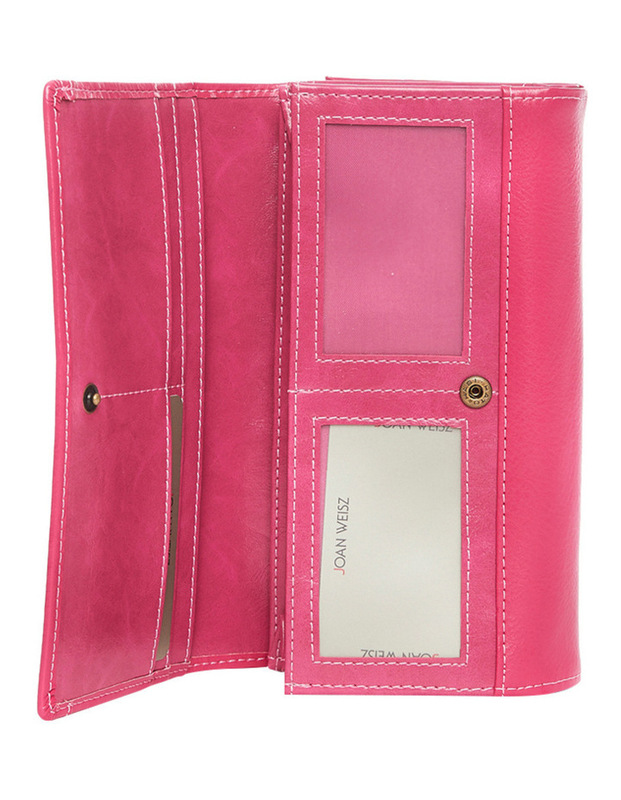 Internal 19 credit card slots, 5 note sections and 2 zip coin compartment. Fitted with rfid technology. Also available in taupe colour. Dimensions: L19cm D3.5cm H 10.5cm. 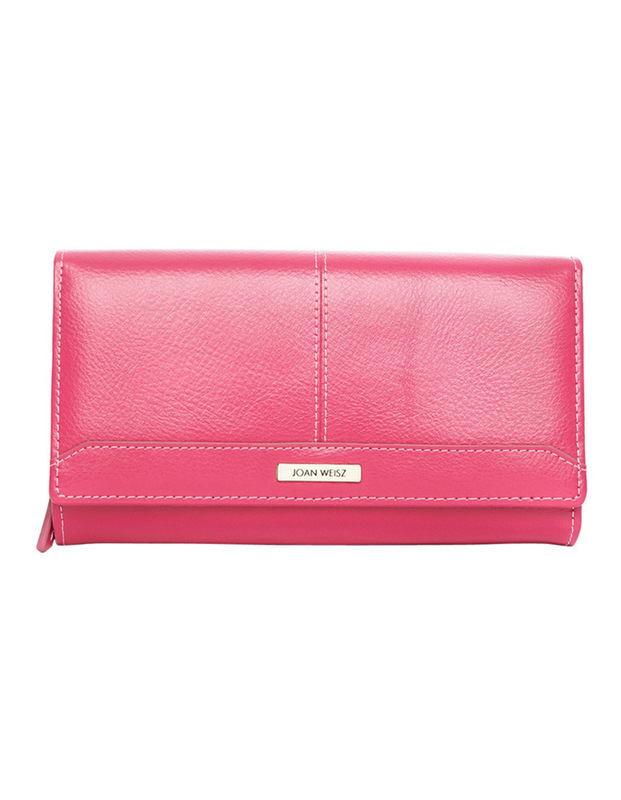 Style: JWF044.